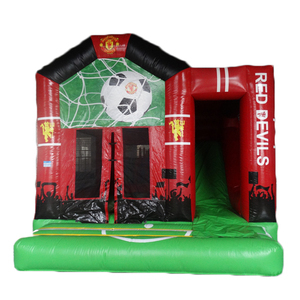 Besides, we use slippy bounce house with basketball hoop sheets, high quality interior baffle materials and durable nylon threads. Q: How to blow up bounce house with basketball hoops9 A: By electric air blowers which are included, we can match suitable power and plugs for you. 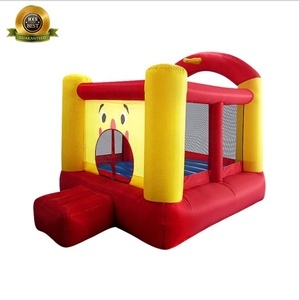 Q: Can we use bounce house with basketball hoop in rain9 A: We do not recommend especially for heavy rain. 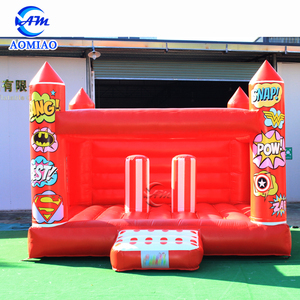 The inflatable game is very popular among the kids for smaller venture. 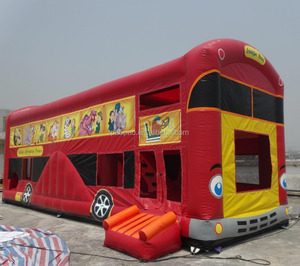 The inflatable bouncer can be designed in any shape and specification according to your preference. Please feel free to contact us if you need more informations about our products. 3.Built to withstand commercial use like rentals. 4.One of the longest, extensive & comprehensive warranties in the industry. 2.Heavy duty carton for the blowers. 2, All digital printing themes are with gloss oil protecting on surface. 3, All stitchings are 5-6 times per inch, more tightly and NOT deflated much air out. 4, All necessary parts(connections, corners, turning) are with reinforced straps, more stronger. 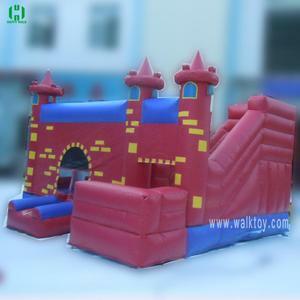 Guangzhou Kule Amusement Equipment Co., Ltd.
Alibaba.com offers 4,727 red castle products. About 47% of these are inflatable bouncer, 3% are playground, and 1% are other toys & hobbies. 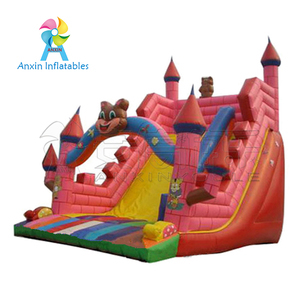 A wide variety of red castle options are available to you, such as plastic, nylon, and pvc. You can also choose from castle, slide, and block set. As well as from construction toy, diy toy. And whether red castle is oem service, or in-stock items. There are 4,701 red castle suppliers, mainly located in Asia. The top supplying countries are China (Mainland), Taiwan, and Hong Kong, which supply 98%, 1%, and 1% of red castle respectively. Red castle products are most popular in North America, Western Europe, and Eastern Europe. You can ensure product safety by selecting from certified suppliers, including 696 with Other, 438 with ISO9001, and 112 with ISO14001 certification.